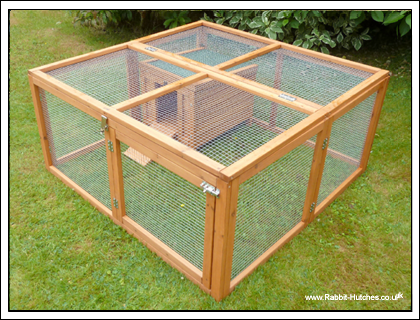 The medium folding run and hideaway hutch is perfect for those looking for a moveable rabbit hutch and run. With over 13 square feet of safe and secure run space for your pet to roam around in, as well as somewhere safe to retreat to whenever they need the medium folding run and hideaway hutch is perfect for those looking for a moveable rabbit hutch and run. 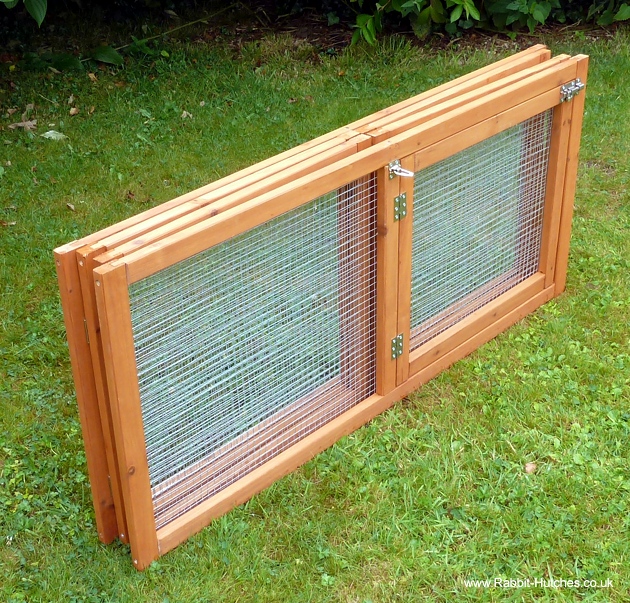 Made from a sturdy 20mm x 30mm framework and using galvanized wire, this medium folding run provides a safe and secure run for your pet. 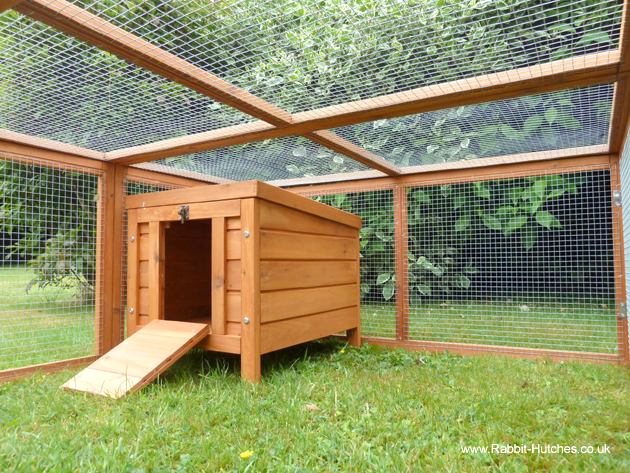 The roof of the hideaway hutch opens fully and can be held in place via a handy metal stay. Both are lightweight enough to move about the garden and should you need to store the run it can easily and neatly folded up and put away. 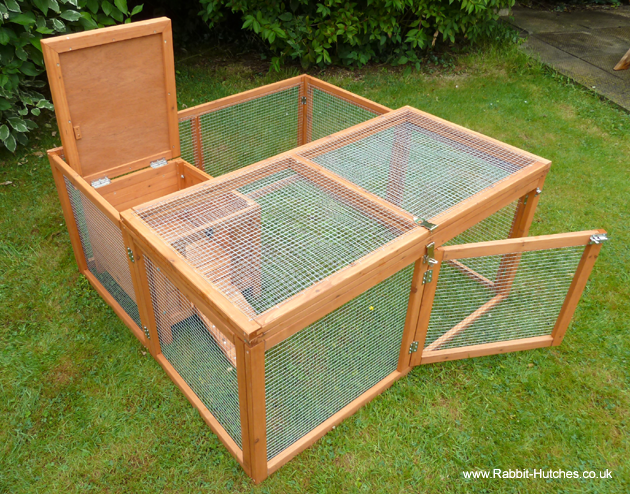 Both the folding run and hutch have an excellent smooth finish and have been pre-treated with an animal-friendly wood preservative. 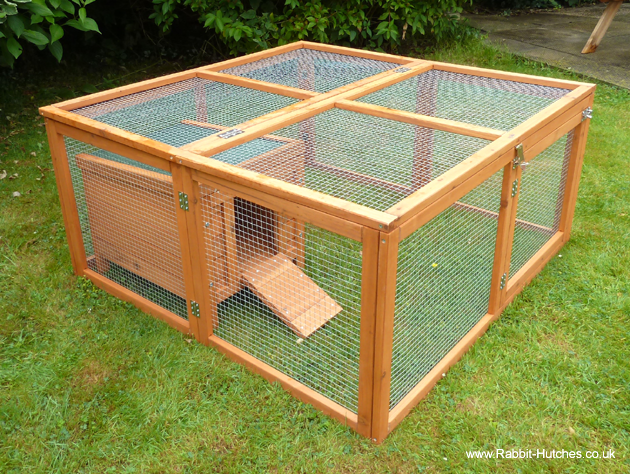 This rabbit hutch hideaway is very easy to construct with clear and concise instructions provided. All the bags of screws are clearly labelled. The medium folding run gives your pets over 13 square feet of safe and secure space to run around in. The folding run is quick to assemble and can be easily folded away when not in use. It's also lightweight enough to be moved about the garden. You can access any area of the run via the large folding roof panels. It has an excellent smooth finish and the high-quality wood has been pre-treated with an animal-friendly wood preservative. 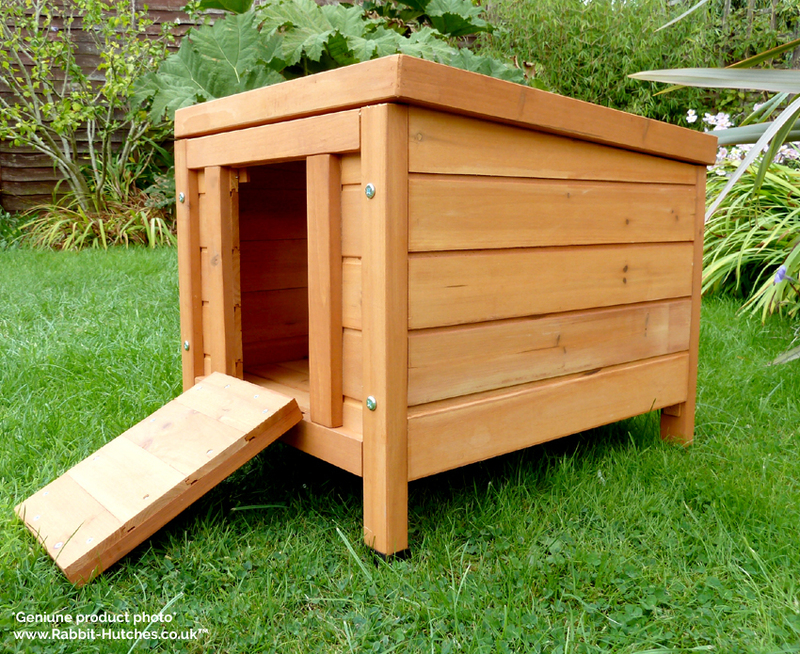 Include a small hutch which is ideal for guinea pigs and other small pets. In inches: H 20.8" x W 44.9" x L 44.5"
Included are the instructions with clear and concise diagrams as well as a bag of screws. Estimated construction time 25 to 40 minutes. We would like to think that our Medium Run and Hideaway Hutch are made to a higher standard than most other suppliers in its price range. While we have purposely used thicker, sturdier wood, wire and locks across our range with the aim to make it as safe and secure as possible for your pets we cannot absolutely guarantee that foxes and other predators won’t try and target them.